From our collection of Venetian mirrored furniture comes this exquisite and breathtaking mirrored side table. Crafted from clear-cut glass and featuring and wonderful heptagon shaped mirrored surface, this delightful side table will work wonders and brighten up any room in your home. 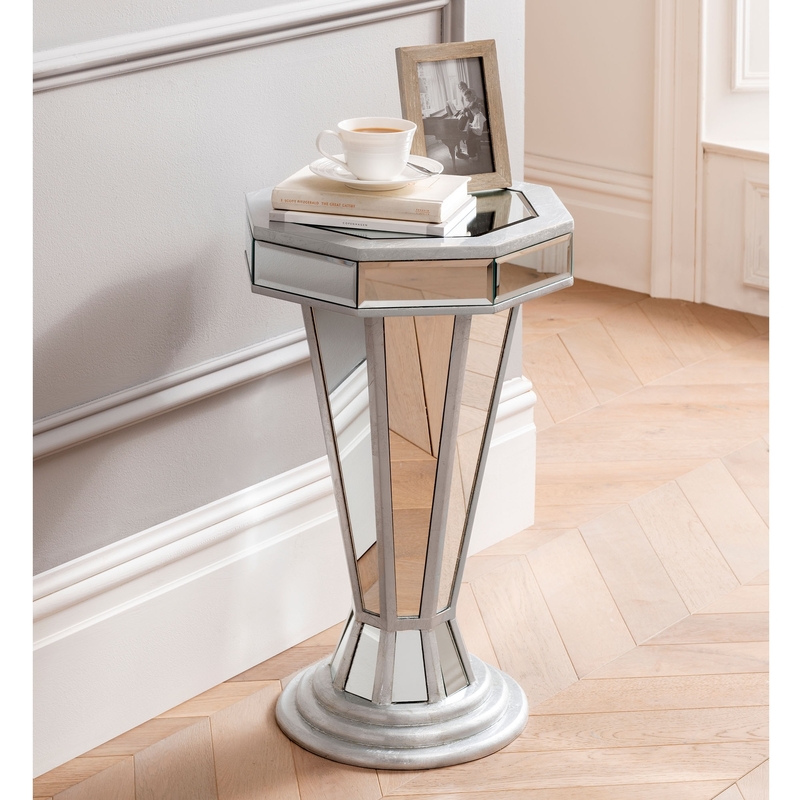 Designed on a sturdy wooden base with beveled mirrored panels, this stunning Venetian glass side table will add a touch of style and practicality in any home.